"Given the current regulatory environment, quality control has never been more critical to lenders, but lenders in the past have not had a reliable way to understand what loan quality looks like across the industry and to see how their own results stack up," said Avi Naider, chairman and chief executive officer for ARMCO. ARMCO will present its ACES Analytics product, a quality control benchmarking solution built to provide lenders the ability to assess their QC results in comparison to industry averages. “Mortgage market participants have attended MBA’s Tech Conference and Expo to see cutting edge products and services for years. At this year’s conference, leading vendors will showcase their latest developments during Monday’s general session, giving lenders the chance to see these new products on a side-by-side basis,” said Rick Hill, MBA vice president and executive vice president of MISMO. This year’s MBA Tech Conference is being held at the Hyatt Regency Orlando on March 29 – April 1, featuring over 700 attendees from mortgage lending firms across the country. Keynote speakers for this year’s conference include former Secretary of Homeland Security and current CEO of Ridge Global Solutions Tom Ridge and Host of NOVA Science Now and Yahoo! Tech Columnist David Pogue. For more information about the event or to register, visit the conference website: http://events.mortgagebankers.org/Tech2015/default.html. 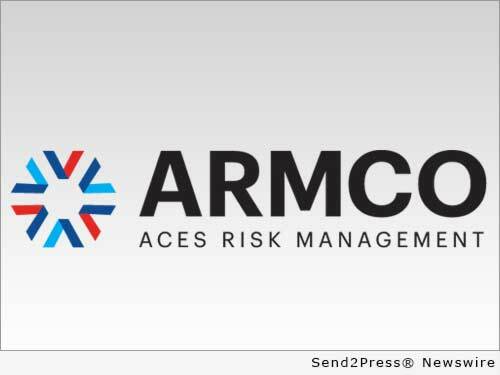 ARMCO – ACES Risk Management delivers web-based audit technology solutions, as well as powerful data and analytics, to the nation’s top mortgage lenders, servicers, investors and outsourcing professionals. A trusted partner devoted to client relationships, ARMCO offers best-in-class quality control and compliance software that provides U.S. banks, mortgage companies and service providers the technology and data needed to support loan integrity, meet regulatory requirements, reduce risk and drive positive business decisions. ARMCO’s flagship product, ACES Web Audit Technology(TM), is available at any point in the mortgage loan lifecycle, to any size lender, and is user-definable. ACES Web standardizes audit requirements, ties pre-funding reviews to post-closing quality control audits, enables seamless trend analysis, identifies credit, compliance and process deficiencies and helps create manageable action plans. Original Keywords: Mortgage Banking Conference and Expo ARMCO ACES Risk Management Pompano Beach Florida POMPANO BEACH, Fla.
REFERENCES: Banking News, Mortgage Banking Conference and Expo ARMCO ACES Risk Management Pompano Beach Florida POMPANO BEACH, Fla.